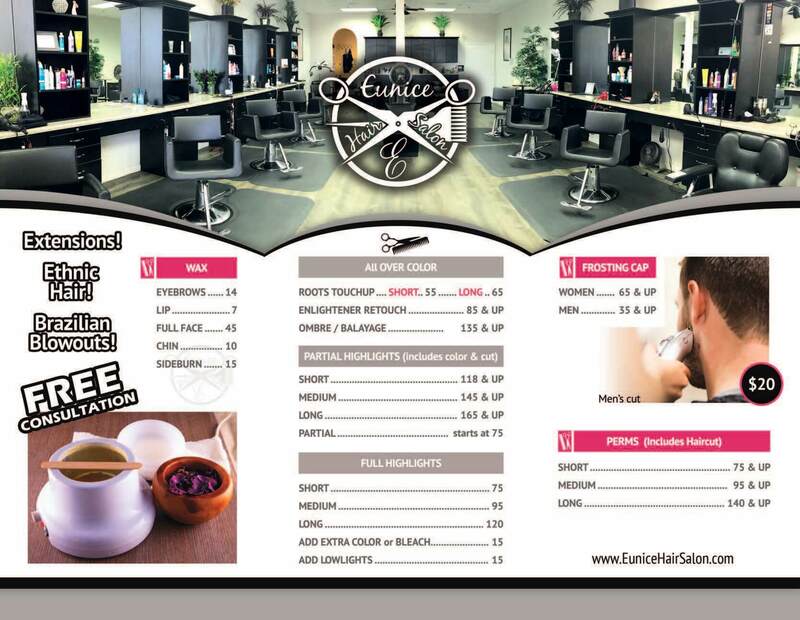 Eunice Hair Salons offer haircuts, style, perms, color & waxing services for men, women & children. Whether it's a wedding, birthday party, anniversary or any special occasion, with 4-8 people scheduled at once, we pull out all the stops! Not only do we offer incredible up-dos, styles & makeup, we treat you and your guests with mimosas, coffee and fruit trays, all at no additional cost! So give us a call and schedule some pampering time for your next special occasion! I love it here. I can always get in short notice and they always do an amazing job on my hair and the barber hooks my boys up nice every time. It is a welcoming environment and my kids are welcome there too.